When the first Arctic Security Roundtable, a series of occasional meetings organized by the Munich Security Conference, was held in Washington in 2017, the motivation was a growing consensus that it was high time to begin taking the potential for conflict in the region seriously. The main argument is that militarization has become a reality. Moscow’s revamping of its Northern border gets most of the attention in this respect, but NATO and its allies do not hold back from their own shows of strength, or staging exercises that cast Russia as the unstated adversary. While any potential for conflict seems to be kept in check by an equal and opposite willingness amongst the countries of the region to collaborate on other matters, hawkish minds warn that the addition of non-Arctic states, most prominently China, into the mix could tip the balance. Likewise, while few security experts foresee conflict emerging over the region, the question of whether conflicts elsewhere could spread to the Arctic took on increasing relevance in 2014, when Western powers slapped Russia with sanctions after it annexed Crimea and appeared to be meddling in eastern Ukraine. 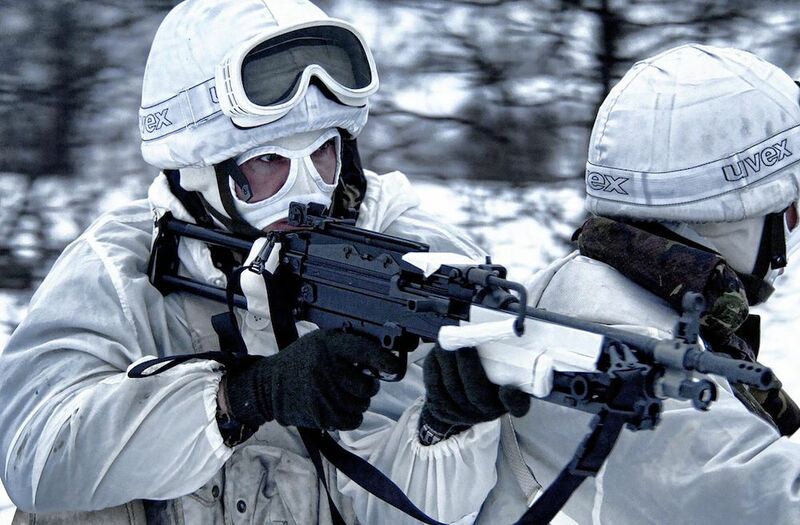 This week, the Arctic Security Roundtable will continue its discussions when it holds its fifth meeting, during the 2019 Munich Security Conference. First held in 1963, with the Second World War fresh in mind, the conference seeks to prevent military conflicts by providing world leaders with a forum for exchanging ideas. During the previous Arctic Security Roundtable meeting, in Stavanger, Norway, in August, participants discussed the need for a similar means for Arctic states to discuss security issues. Such matters may not be taken up by the Arctic Council, but avoiding them entirely makes it possible for misunderstandings to flourish or, worse, to escalate into conflict. On a practical level, promoters of making security topics a part of the Arctic discussion suggest they could be used to address issues such as managing accidents or pooling resources. An example of the type of confidence-building measure these talks could produce is an ‘Uber for icebreakers’, which was floated during the 2017 meeting and has begun making the rounds again. Skeptics — mostly those intent on keeping military discussions separate from other Arctic business — will note that such conversations do take place, and that conflict is still only a theoretical possibility. As for the former, the landscape in which these discussions take place is somewhat fractured, which may complicate the close coordination some envision. As far as the latter goes, discussions to make sure that remains the case are a reality: The series will continue in May, in Rovaniemi, Finland, concurrent with the Arctic Council’s big biennial meeting. In a Norwegian supreme court case expected to be decided this week, a panel of 11 justices will determine whether the EU has the right to issue licenses to fish snow crab off Svalbard. Oslo and Brussels have a long-standing row over crab-fishing rights, but the outcome of the case will be particularly closely watched for its relevance to other offshore industries, in particular oil. “The question of the snow crab is a proxy for oil. Because what is valid for the snow crab is valid for the oil industry,” Øystein Jensen, of Fridtjof Nansens Institutt, an Oslo-based research outfit, told Reuters in January. As a sign of the significance of the case, 11 justices, rather than the normal five, heard arguments in the case, which began on Jan 15. A decision to expand the number of justices is made if the outcome of a case is expected to set a precedent. At the time, the court said it expected to have decision three to four weeks after arguments closed on January 17. During the course of the five days it lasts, the Alaska Forum on the Environment, a big annual gathering, serves as a place where groups from throughout the state can listen and have their say on any number of issues, from food security to honey buckets. As with most meetings of this sort that have science at their core, some of the discussions may be too technical for the average layperson to understand. Others, though more approachable, are just as hard to wrap your head around, but for another reason. Resource exploitation is one: In a state with few other economic opportunities, is it fair to limit certain industries, or to lock off some areas entirely? Oil is perhaps the noisiest debate, given the input from voices from outside the state, but as heated as the argument gets, the fault lines are familiar; it pits those who live off the land and and those who want to see it remain untouched. Not all efforts to trip up resource development can be pinned on the bogeyman of out-of-state agitators, though, nor do they take on a classic jobs vs nature storyline. Take the proposed Pebble Mine, which, if approved, would extract a range of ores, including gold, copper and molybdenum from a site in the southwestern part of the state. Proponents’ argue the mine will bring jobs, tax revenue and reduced national dependence on strategic materials. Such benefits, according to some polls, have a majority of state lawmakers sold on the project, though the public remains on the fence. 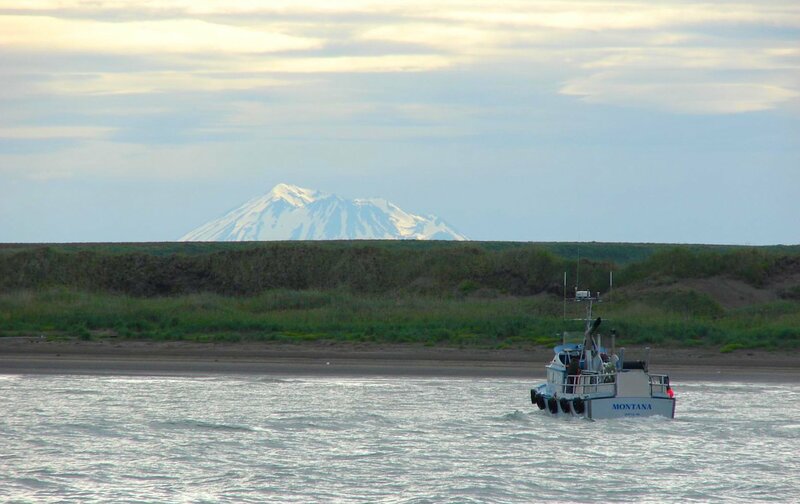 This is in large part due to the proposed impact the mine could have on fishing in Bristol Bay, the richest commercial fishery in America’s biggest fishing state, thanks to the fact that it is a habitat for huge numbers of salmon. The industry is opposed to the mine because it worries that tailings, the rubble that remains after ore is extracted from rock, stored pools of water held in place by earthen dams could somehow find their way into the bay, poisoning its waters. Should that happen, both fish and humans would suffer: Fish would die as would the jobs they create; about 75 percent of in people in the area have a job that is directly on commercial fishing, according to the industry. Rather than jobs vs nature, fishermen and their supporters see the mine as a question of jobs vs more jobs. A discussion of the Pebble Mine, followed by a session in which the public will get the chance to make comments, opens the Alaska Forum on the Environment. Next week, federal authorities say they will release next week of a preliminary federal review of the mine’s impact. The review, like today’s session, will have the unenvious task of sorting out to what extent one mine’s trash will be another industry’s trash, too. Add AIP to AIIC and what do you get? One of the largest events in Canada seeking to promote the well-being of Indigenous people living in that country’s North. In order to order to be nominated, groups must not only identify a problem, they need to come up with a plan for how to solve it. In past years, the AIP has held its own event, until last year at a location in southern Canada. This year, it has chosen to partner with the Arctic Indigenous Investment Conference, a week-long event being held in Whitehorse, Yukon, that seeks to promote interaction amongst Canadian firms from the northern tier of the country and Alaska. It holds an awards night of its own on Feb 13 to honour indigenous business leaders. In Greenland, representatives from five public agencies begin a week-long tour on Wednesday of the southern part of the country, where they will hold meetings to inform residents of their right to raise objections to planned mining projects. Greenland currently only has two operational mines. Neither of them raised considerable resistance before they came on-line, but more mines are in the offing, and the national development strategy envisions mining as one of three pillars the economy can rest on, together with tourism and fishing. Conflicts are bound to arise as the country becomes more familiar with the costs and benefits of having a mining industry. 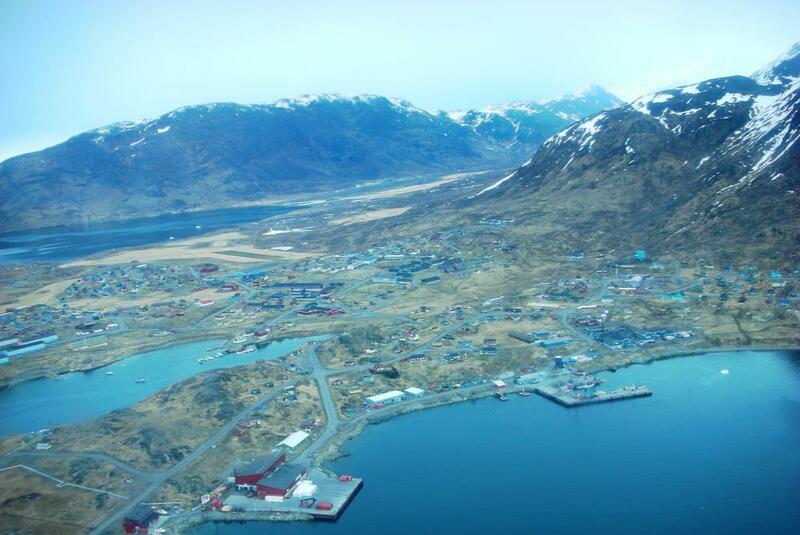 The meetings may prove a taste of what could be in store; a combined rare-earths and uranium mine close to the town Narsaq, one of the cities on the list, has proven wildly divisive, due to concerns that it will spread radioactive dust over the town and adjacent agricultural areas. Nuuk wants the road to economic independence to be paved with public involvement. It may find that the most responsible option is also the path of greatest resistance. Each year since 2004, the organisers of Barents Spektakel (pictured above) have sought to use their cultural festival to put some of the big questions facing the Barents Region and the wider Arctic on display. This year, the event, taking place this week, will seek to deconstruct China’s interest in the region. Depending on whom you ask, the 21st century will be the Chinese Century, as the 20th belonged to America. So far, regional questions relating to its rise have related to whether it should be welcomed as an Arctic player, and whether its intentions, and its investments, are in the best interest of the people in the region. Instead of debating those questions directly for the umpteenth time, Barents Spektakel will take a more virtual approach by asking participating artists to think ahead and transform host city Kirkenes into a future version of itself to give their take on how increased Chinese involvement in the region might play out. At this time of year, the Chinese greet the New Year with a play on words that proclaims that wealth has arrived (福到了!). In Kirkenes this week, the words will be the same, though they are more likely to be punctuated by a question mark than anything else. Harry, the younger son of Prince Charles, Britain’s heir apparent, bears numerous titles. This week, it will first and foremost be in his capacity as an officer in all three of the branches of the country’s military, and ceremonial leader of the Royal Marines, that he visits the 800 British troops currently taking part in the annual Exercise Clockwork winter training in Bardufoss, Norway. Bardufoss, located 100 kilometers south of Tromsø, has for 50 years served as the cold-climate training facility for British forces. Deployments there, begun in 1969 as a way for Britain to show it was committed to protecting Europe’s Northern flank, concentrate mostly on helicopter operations. 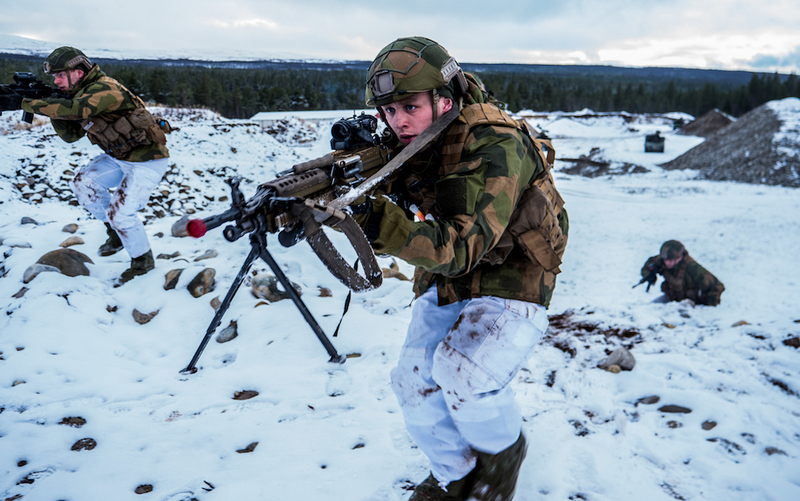 By this point, the forces are familiar enough with each other that Commando Helicopter Force warmly refers to the Norwegian air-force station at Bardufoss as its home away from home. After years of operations in warm, dusty places like Iraq and Afghanistan, such training has become increasing relevant as Britain and other NATO countries turn their military thinking northward. Late last year, the annual Trident Juncture military exercise sought to prove to alliance members — and to any potential adversary in the region (say, Russia) — that it still has what it takes to stop a potential invasion (as well, perhaps, as to find out where its operations are creaking). Harry is scheduled to arrive in Bardufoss on Feb 14. For the troops, and for their Norwegian hosts, he is being sent from Britain with love. For those they might be preparing to fight against, the UK sent something else ahead of time: for the first time ever, it deployed Apache attack helicopters to take part in Exercise Clockwork.